At the South Dumfries Community Centre in St. George, Ontario on January 28th, the first place St. George Ravens hosted the third place Niagara Whalers in a south division Greater Metro Hockey League match – up. Frolov Mikhail sinks the Whalers first of the game in first period with Brandon Lindberg and Nick Pastorious adding the helpers to bring the game to 3 – 1 for the Ravens. Scoring the lone goal in the second for Niagara was Lindberg. Lindberg’s goal brought the score to 10 – 2 with Alex Remedios and Patrick Desjardin adding the assists on Lindberg’s goal. In the third, Pastorious sank two for the visitors with Elias Berglund registering the contributor on Pastorious first of the final period. Will Harvey and Noah Bonvissuto made a total of 34 saves between the Whalers goaltenders in Niagara’s 13 – 4 loss against the Ravens. 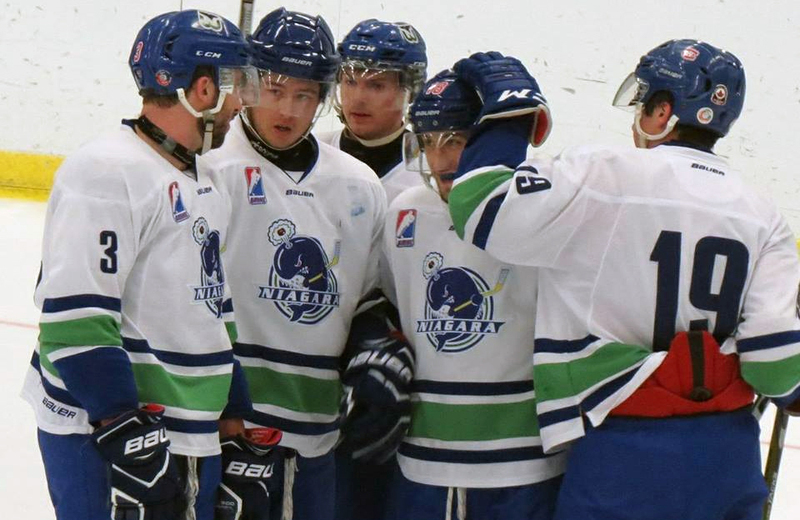 The third place (28-8-1) Whalers will return to Port Colborne on February 2nd to face the second place (30-6) Kingsville Kings at the Vale Centre in a 7:30 p.m start.